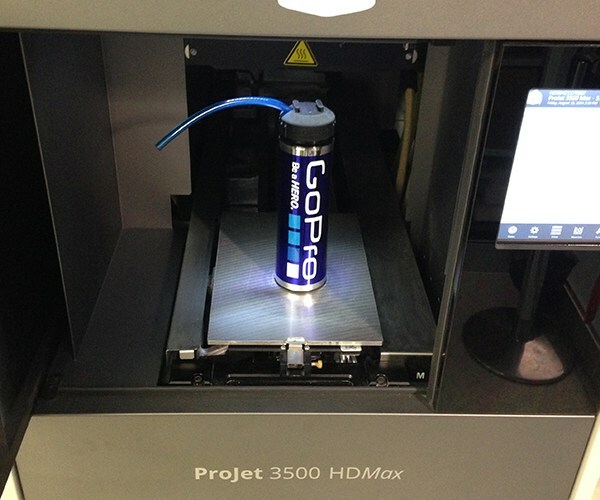 The first 'official' 3D printed GoPro accessory? Those of us fortunate enough to own a GoPro are aware how great they are, especially with the array of fittings and accessories available to attach them to stuff. Those of us fortunate enough to own (or have access to) a 3D printer are probably also aware of the myriad of unofficial GoPro accessories that can be found on the net for download and local fabrication. As one of those people I admit to having made my fair share of parts, all custom designed bits you can't get from GoPro mind you. 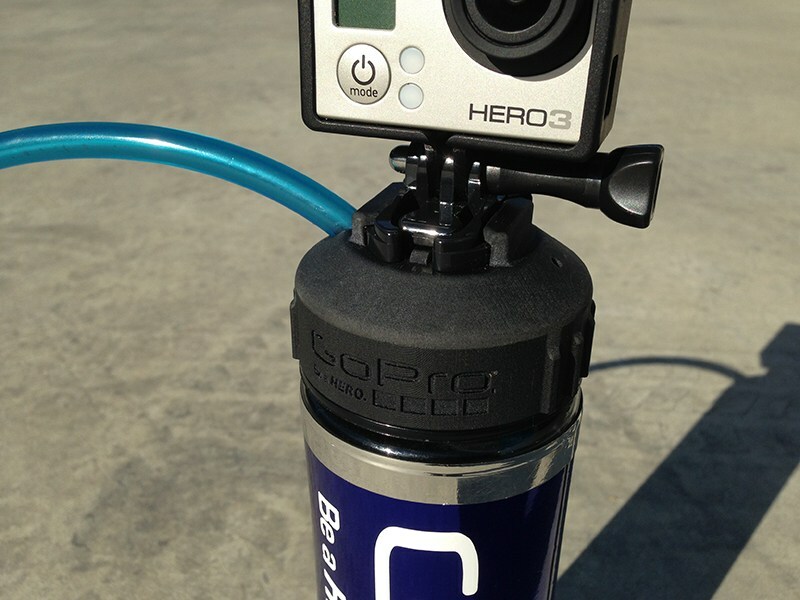 Naturally, because of copyright none of these maker-made designs can have GoPro branding. With one exception - ours. Thanks to our working relationship with Nissan Motorsport we had an interesting request from one of the drivers. The famous Rick Kelly (and his dog) dropped by and asked if we could print some drink bottle lids - but not any ordinary spill stoppers, these were a bit special. You see, Rick's personal sponsor is none other than GoPro. Previously Rick and the race team had been strapping cameras to their bottles rather awkwardly with the standard double sided tape and curved mount bracket, but that was never going to work in the long run. Enter talented engineer and chief designer Perry Kapper who took the original lid and reproduced it in a CAD package, but incorporated the official GoPro branding and camera mount on the top. We ran 8 of these off in one shot on our fantastic high definition ProJet 3500HD Max and the results were brilliant. Here's some detailed shots of the final product. So there you have it. Could these be the worlds first 'official' 3D printed GoPro mounts? We certainly think so, but unlike all the unofficial ones, you won't be finding the model for these on the net any time soon.